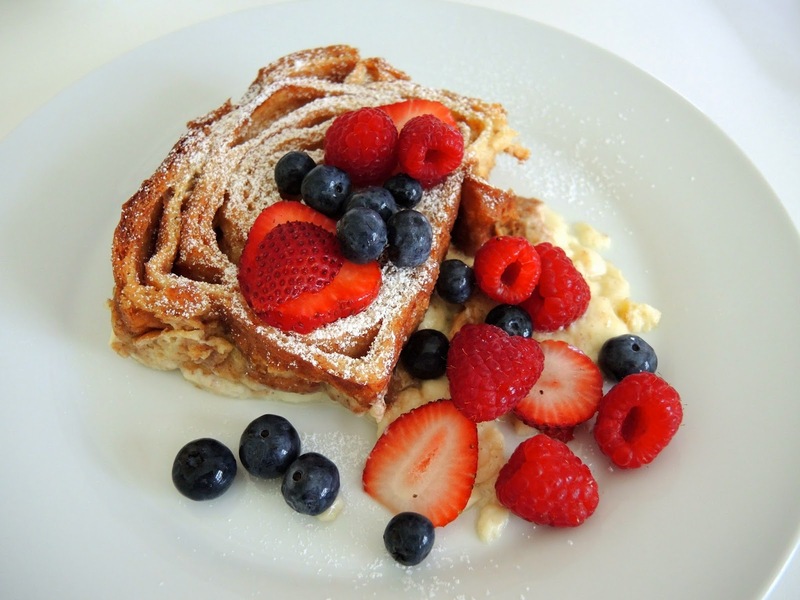 Weekends just beg for a leisurely breakfast. Something a little fancier than there is time for during the week. Breakfast just happens to be one of my favorite meals, which I am willing to eat morning, noon, or night. This recipe does indeed make a delicious meal at any time of day. 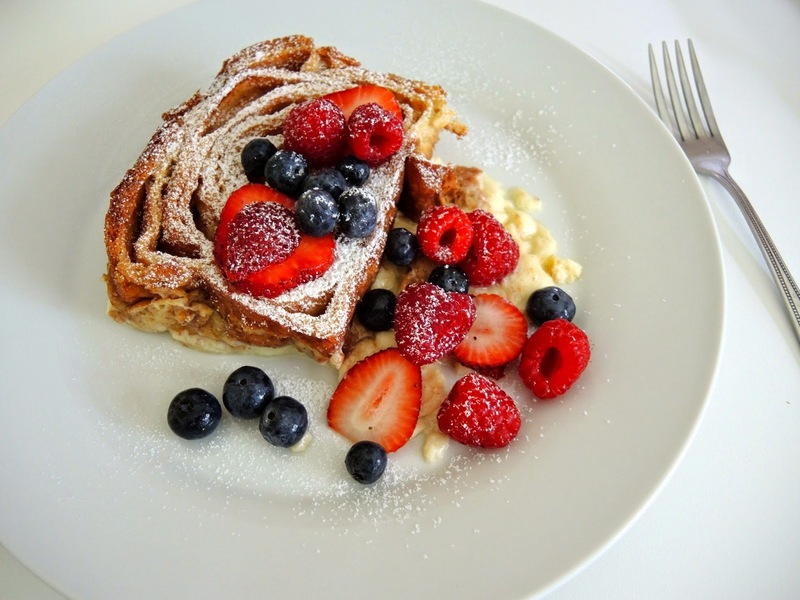 The recipe combines french toast and bread pudding into one. 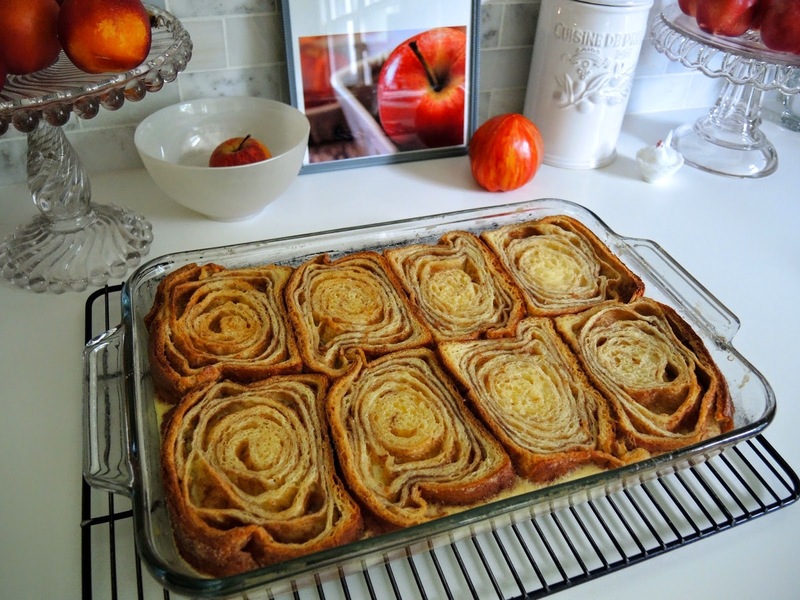 The top turns golden and toasted like french toast while the bottom develops into custard bread pudding. I adapted it from a recipe I saw in a magazine years ago. The results are quite fancy, but it couldn't be easier to make. 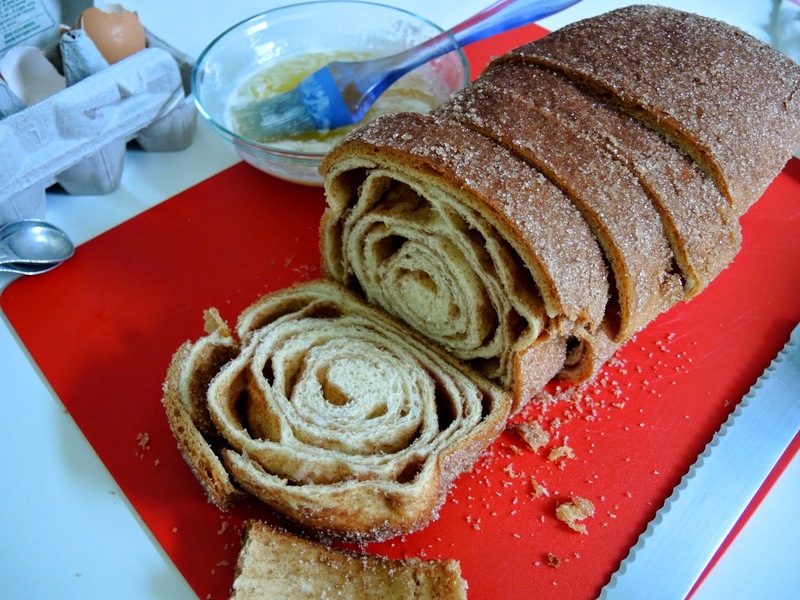 Homemade bread would be just lovely, but a good loaf of cinnamon or cinnamon-raisin bread from a bakery works just fine and is a much quicker alternative. While the french toast custard bakes there is time to make bacon or linger over a cup of tea or french pressed coffee. I used to make this recipe for my late husband because he loved it. We would dine alfresco on the covered patio of our little Palo Alto home listening to Italian opera and sipping cappuccinos. My children now beg for me to make it so we can do the same on our Midwestern patio. If you use a loaf of bakery bread don't have the bakery slice it so you can make thicker slices. Make sure each slice of buttered bread is equally covered in custard mixture. Allow the bread and custard mixture to sit for a few minutes so the bread can absorb some of the custard. Preheat the oven to 350℉ (175℃). Using a serrated knife slice the bread into eight equal pieces. Butter a 9"x13" (23 cm x 33 cm) glass baking dish with some of the melted butter. Then brush each side of the sliced bread with the remaining melted butter and arrange in rows in the glass dish. In a large bowl combine whole eggs, egg yolks, sugar, milk, cream, and vanilla extract whisk to combine. Pour the mixture through a strainer over the bread making sure to moisten each piece. Let the bread and custard mixture sit for a few minutes to soak up the egg mixture. Place the glass dish in a roasting pan and fill the roasting pan half full with warm water. The water level should come to the middle of the glass dish. (It is easiest to put the nesting pans in the oven first then add the water to the roasting pan using a tea kettle or large measuring cup.) Bake in the top half of the oven until the custard is set and the bread is lightly browned, about 25 minutes. Carefully remove the pan from the oven, as the water in the roasting pan is very hot. 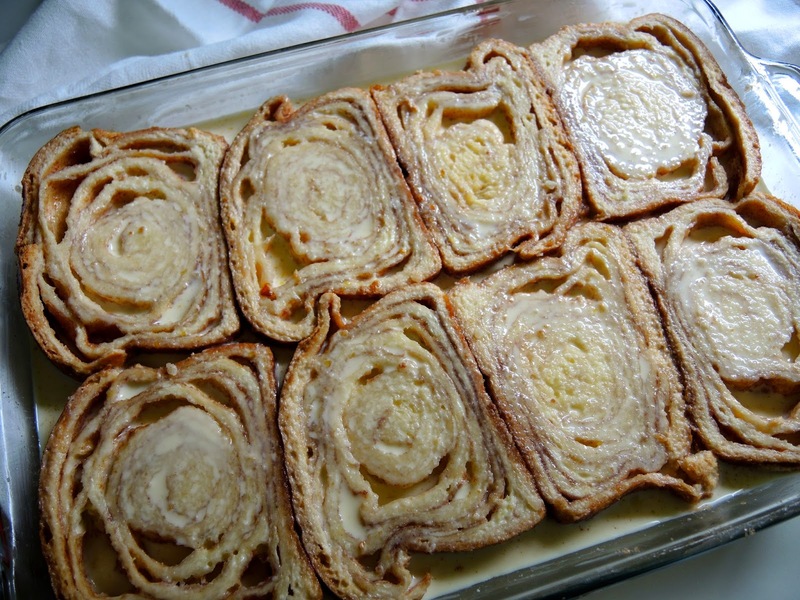 Allow the french toast custard to rest on a rack for 10-15 minutes. Cut into pieces garnish with confectioners' sugar and fresh berries is using.